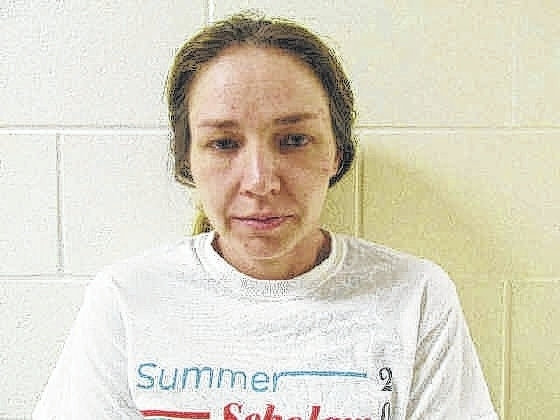 The Scioto County Sheriff’s Office is seeking a sixth person in connection with a crime spree in the Franklin Furnace area. Being sought is Rickey J. Mollett of Carver Road, Franklin Furnace. Mollett is wanted for burglary, breaking and entering, receiving stolen property, theft, and possession of criminal tools. Scioto County Sheriff Marty V. Donini said his detectives have currently been working on several crimes that occurred in the Franklin Furnace areas to include a breaking and entering at the Big Sandy storage area, a burglary at Crystal Care Nursing Home, two breaking and entering’s at the Franklin Furnace Car Wash along with several residential burglaries. Five people have been arrested in the crime spree including Matthew C. Steele, age 37, of Wheelersburg. Steele has been charged with three counts of receiving stolen property a felony of the fifth degree, trafficking in heroin a felony of the second degree, tampering with evidence a felony of the third degree, two counts of possession of drugs a felony of the second degree, having a weapon under disability a felony of the third degree and possession of criminal tools a felony of the fifth degree, Steele is being held without bond. Timothy Stapleton, age 26, of Franklin Furnace, has also been charged with two counts of burglary a felony of the second degree, vandalism a felony of the fifth degree, two counts of breaking and entering a felony of the fifth degree, three counts of theft a felony of the fifth degree, receiving stolen property a felony of the fifth degree, possession of criminal tools a felony of the fifth degree and safe cracking a felony of the fourth degree. Stapleton is being held without bond. Timothy Stapleton, Sr., age 51, of Franklin Furnace, has been charged with one count of receiving stolen property a felony of the fifth degree and is being held without bond. Misty Linkous, age 34, of Wheelersburg, has been charged with one count of receiving stolen property a felony of the fifth degree, Linkous is being held without bond. Danielle Caldwell, age 19, of Franklin Furnace, has been charged with one count of obstructing justice a felony of the third degree and is currently being held on a $10,000 bond. Donini said detectives were able to recover most of the stolen property to include furniture, jewelry, computers and other personal items. The cases were presented to the Scioto County grand jury that resulted in indictment warrants being issued on April 10. Detectives along with the Adult Parole Authority, responded to several locations throughout the day on April 10, attempting to locate and arrest the suspects. Donini said the investigation is ongoing and more charges could be presented to the Scioto County grand jury on a later date. He said anyone with any information concerning these cases is being requested to contact detective Jodi Conkel at 740-351-1091.